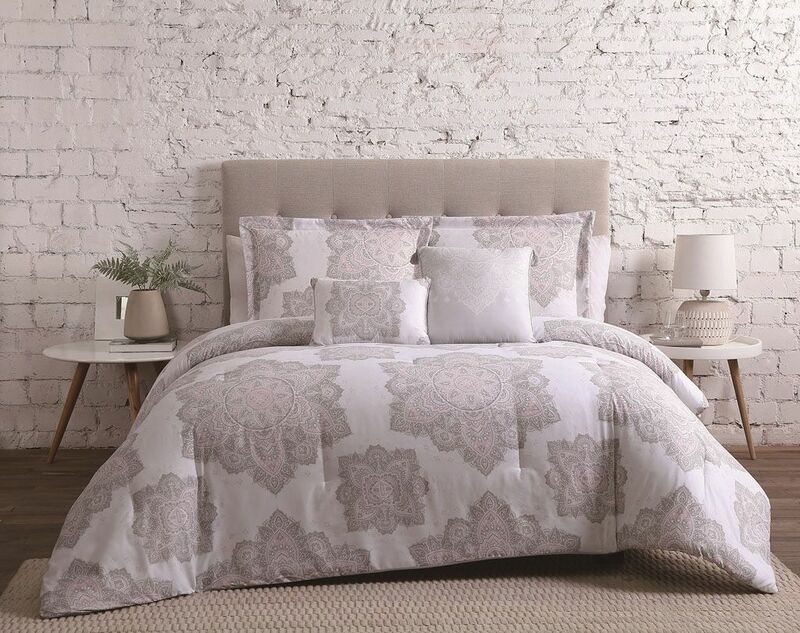 Give your bedroom a modern look with this Larissa comforter. It features grand scale floral medallion in rose, gray and white. 2 decorative pillows included.